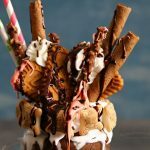 Inspired by the popular Disney ride, this over the top It’s a Small World Freak Shake is one incredibly insane dessert for the treat obsessed! YUM! 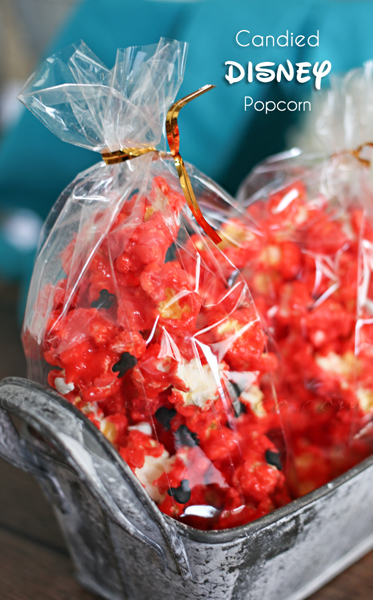 Have I got a magical treat for you today! Oh my goodness. 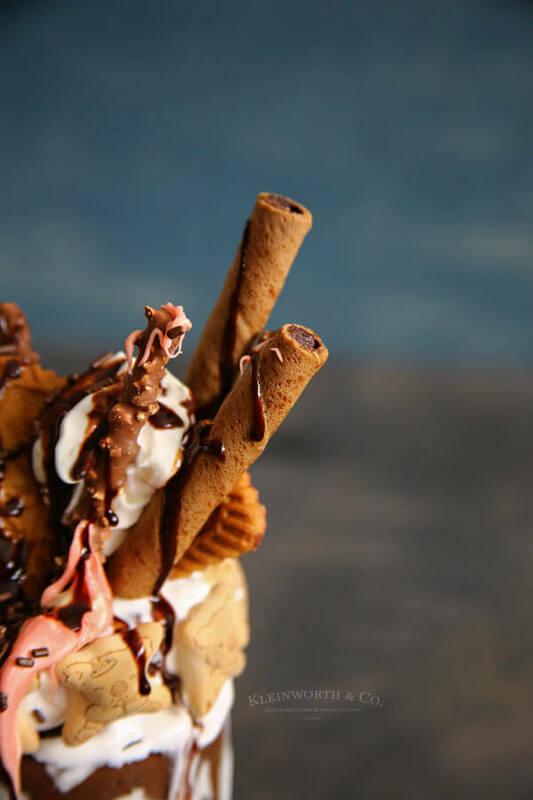 Have you ever had a freak shake before? 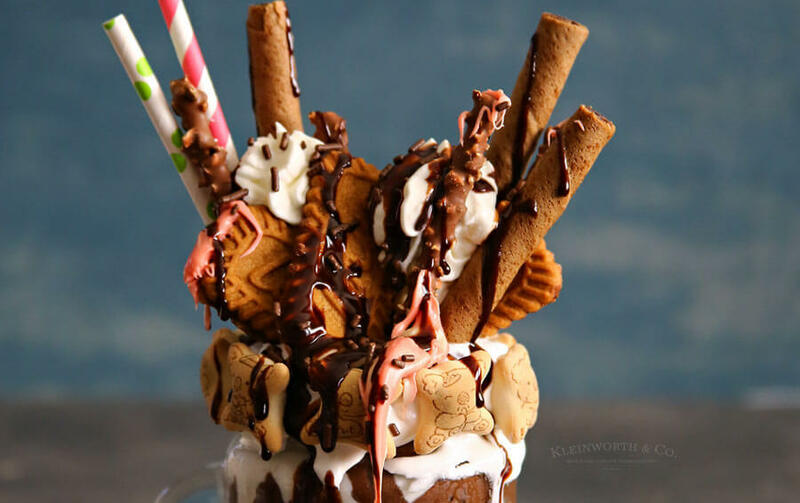 It’s a regular milkshake that’s transformed into the most over the top, insane dessert with everything but the kitchen sink piled on top. I have to say, it’s CRAZY GOOD & the perfect thing to serve for someone special for maybe a birthday party or something like that. My friends & I got together to not only share our own versions of the perfect freak shake today, but we are also putting a Disney spin on it all. We each had to pick something related to Disney for the theme of our freak shake. I chose It’s a Small World after one of my favorite childhood rides. I thought it would be fun to do the It’s a Small World theme & then load this shake up with goodies from around the globe. Fortunately, there are places like Amazon that sell treats I wouldn’t otherwise find here in North Idaho. I ordered my goodies & then created this super AMAZING shake when they arrived. I wanted to include so many more, but couldn’t get all of the goodies from other regions here in time to include them. I have to say, I think I have fallen in love with a few new goodies I didn’t know I was missing before. Just look at that! WOW! It’s every bit as good as it looks! 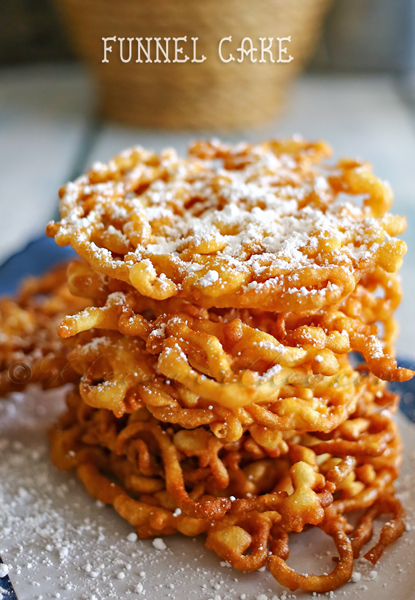 Spread rim with marshmallow creme. Press Koala cookies into the creme all the way around. Store mug upside down. 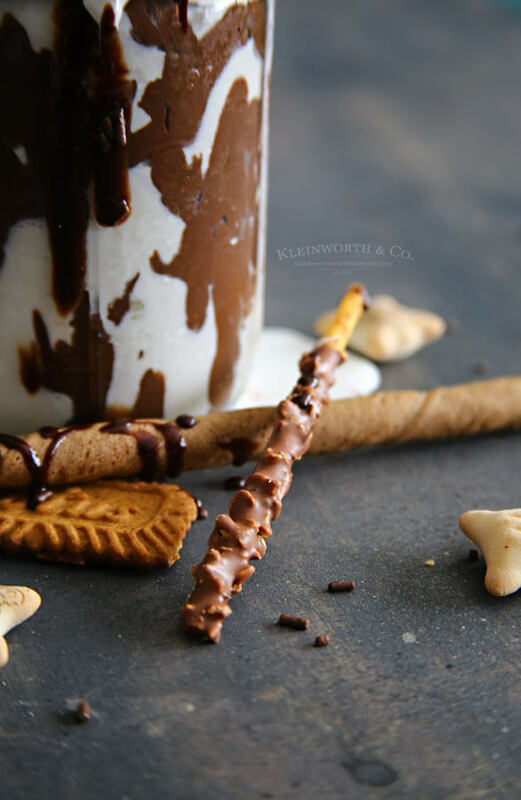 Combine ice cream & milk into the blender & blend on high until you reach the desired thickness. Pour milkshake into prepared mug. 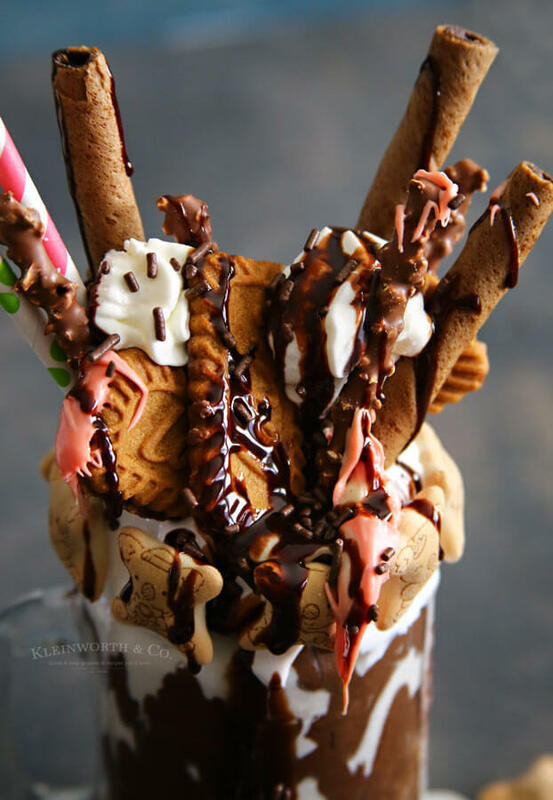 You absolutely have to make this shake! 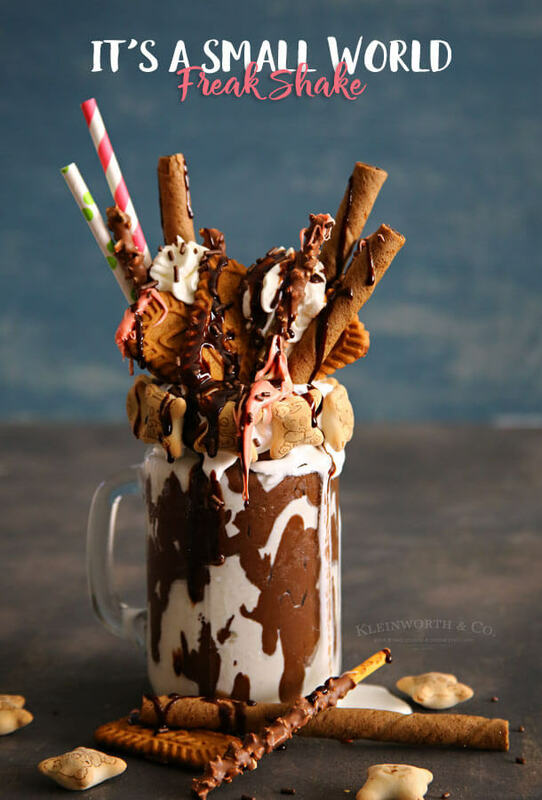 Be sure to check out the other Disney inspired shakes below too! 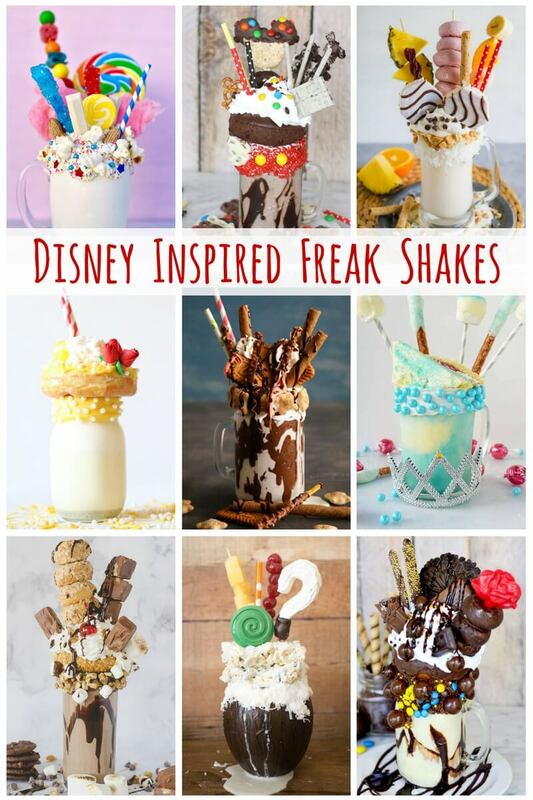 Check out all these other Disney Inspired Freak Shakes! 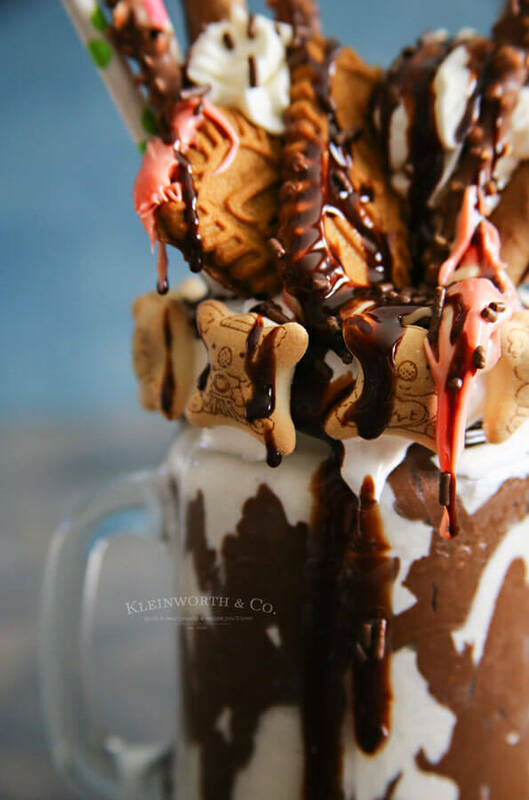 It’s A Small World freak shake from Kleinworth & Co. 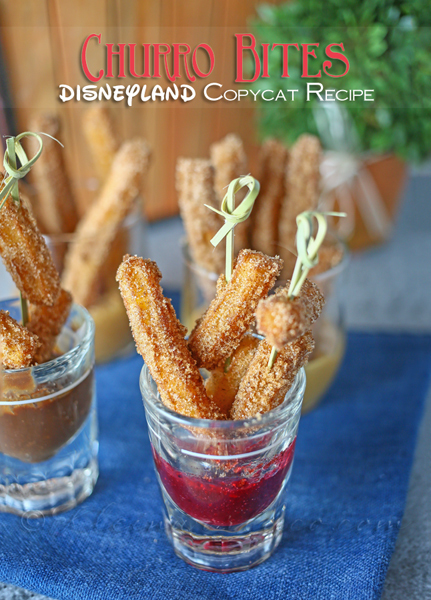 Looking for even more awesome Disney inspired treat recipes? This turned out so fun! Love all the ingredients from different countries. 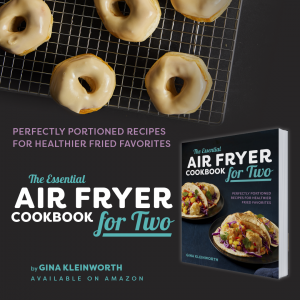 Gina, this looks amazing! I haven’t had breakfast yet but I wouldn’t mind this right now. Such an epic creation!